Fukushima Accident presents up-to-date information on radioactivity released to the atmosphere and the ocean after the accident on the Fukushima Dai-ichi nuclear power plant, on the distribution of radionuclides in the world atmosphere and oceans, and their impact on the total environment (man, fauna, and flora). The book will evaluate and discuss the post-Fukushima situation, emphasizing radionuclide impacts on the terrestrial and marine environments, and compare it with the pre-Fukushima sources of radionuclides in the environment. The authors’ results, as well as knowledge gathered from the literature, will provide up-to-date information on the present status of the topics. 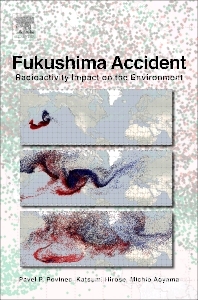 Fukushima Accident is based on the environmental and nuclear research; however, the presentation will be suitable for university-level readers. Prof. Dr. Pavel P. Povinec is professor at the Comenius University in Bratislava (Slovakia) where he spent most of his carrier, also as a vice-dean of the Faculty of Mathematics and Physics, as well as Head of the Department of Nuclear Physics. From 1993 to 2005 he led Radiometrics Laboratory of the International Atomic Energy Agency’s Marine Environment Laboratories in Monaco. He has been engaged in low radioactivity studies and development of low-level counting methods. The main topics included environmental radioactivity and radioecology, isotope hydrology and oceanography, but also investigations of rare nuclear processes and decays. He contributed to better understanding of radiocarbon variations in the atmosphere and biosphere. In high sensitivity radioactivity measurements his main contribution was in the development of underground facilities and in situ underwater gamma-spectrometry of radionuclides in the aquatic environment. He published over 250 papers in recognized scientific journals, having over 2500 citations. Recently he published 11 papers on the Fukushima radioactivity assessment, and edited a special issue of the Journal of Environmental Radioactivity on this topic. He has been often invited to give talks at international conferences on radionuclides as tracers of environmental processes, and acting as a member of international advisory scientific committees. He also spent several months as a visiting professor at foreign universities. He led several international projects on marine radioactivity. He also led the Bratislava group in many international projects in physics. He organized six international conferences, several seminars, workshops and training courses. He published four books and 12 monographs. He edited 12 conference proceedings, 11 special issues of scientific journals. He is editor, co-editor and board member of six scientific journals. His professional activities included international and national societies (Board of the European Physical Society, IUPAP and IUPAC committees, etc.). He received several foreign and national awards. He was a member of the IAEA team which won the 2005 Nobel Peace Prize. Prof. Dr. Katsumi Hirose is presently a visiting professor at the Sophia University (Tokyo), as well as at the Saitama University (Tsukuba, Japan). Most of his career he spent in the Meteorological Research Institute in Tsukuba, where he retired in 2009 as the Director of the Geochemical Research Department. He has been well known for his scientific work on natural and anthropogenic radionuclides in the environment, and their applications as tracers of atmospheric, terrestrial and marine processes. He specifically contributed to better understanding of plutonium in the marine environment, and to the transport of radionuclides through the global atmosphere. He also has been an expert of chemical speciation of trace metals and radionuclides in seawater. He organized and participated in tens of oceanographic cruises, focusing mostly on the Pacific Ocean. He published over 150 papers in recognized scientific journals. He has been frequently asked to give invited talks at international conferences on radionuclides as tracers of environmental processes. He was acting in several governmental bodies, such as the Radiation Review Council of the Ministry of Education, Culture, Sport, Science and Technology (1999-2009), and in the former Nuclear Safety Commission, Cabinet Office of the Government of Japan (1999-2012). He has been a member of several foreign and national societies. 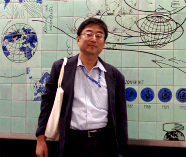 He received several distinguished awards, such as the “Ishibashi Award” in Marine Chemistry (2006), and the “Miyake Award” in Geochemistry (2009). Dr. Michio Aoyama is since 1995 a Senior Scientist at the Geochemical Research Department of the Meteorological Research Institute in Tsukuba (Japan). He is well known mainly for his work on the distribution of 137Cs in the world ocean. He re-evaluated the total amount of global fallout radionuclides, and estimated that about 790 PBq of 137Cs was deposited as over the Northern Hemisphere, which is 1.4 times higher than the UNSCEAR's global estimate (545 PBq). He has also been working on reference materials of nutrients in seawater (RMNS), and changes of nutrients and biogeochemical parameters in the ocean. He organized four international inter-laboratory comparison studies of RMNS since 2003, and organized several workshops on chemical reference materials in ocean science. His developments in underground gamma-spectrometry analysis of 137Cs in seawater samples helped to decrease the required sample size from 100 to l0 liters. He also developed a marine radioactivity database (HAM) on anthropogenic radionuclides in the world ocean. The HAM database now also includes global and local radionuclide data associated with the Fukushima accident. He published over 100 papers in recognized scientific journals. He recently conducted more than 20 oceanographic cruises to study 134Cs and 137Cs released from the Fukushima Dai-ichi NPP accident in the North Pacific Ocean. He published over 10 papers discussing the temporal and spatial distribution of Fukushima radionuclides from coastal region to the whole North Pacific Ocean.